At this years ESE Kongress 2014 our MD Heike Ziegler will talk about “Hybride Bedienkonzepte in der Fertigungsindustrie” (Hybrid HMI Concepts in Manufacturing Industry). 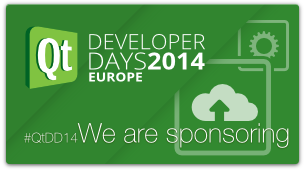 Visit us at the Qt Dev Days 2014 in Berlin. basysKom will present a QtWebChannel based application supporting both – Qt and web based clients. Thanks to the Qt Dev Days Organizers we will have Sponsors’ Showcases: Visit us to get an overview on LG’s webOS smart TV. basysKom is presenting a hybrid sweets selecting machine, February 25th – 27th in Nuremberg. Visit our booth in hall 4/409. basysKom sponsors the Qt DevDays 2013, the conference where the Qt developers meet, exchange and learn. This is the 10th Qt DevDays event and basysKom is proud to sponsor this event just like the 9 events before. 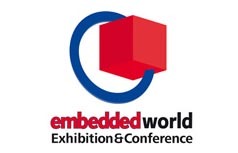 basysKom is exhibiting at the leading show for embedded technologies, February 26th – 28th in Nuremberg. Visit our booth in hall 5/438. basysKom sponsors the Qt DevDays 2012, the conference where the Qt developers meet, exchange and learn. This is the 9th Qt DevDays event and basysKom is proud to sponsor this event just like the 8 events before. This year basysKom will show the well-known Embedded Widgets and Patient Care demos, ported to Qt5. Also a new multitouch demonstration with a focus oni industry use cases will be available at the event in Berlin. At both events basysKom will give a presentation on how to access middleware from Qt, QML and HTML5. basysKom will visit the Automotive Linux Summit 2012 in Gaydon, England, September 19 -20, 2012. Eva Brucherseifer will be talking about Open UI Frameworks to Enable Feature-Rich HMIs. Together with our partner corporate quality she will be showing how to connect the car to the new mobile world. basysKom is exhibiting at the fair “IT&MEDIA”, which takes place for the first time in Darmstadt, 30th and 31th of may. 200 exhibitors are presenting hot topics like IT-Security, Cloud Computing, Mobile Solutions and Embedded Systems. basysKom will present its services in the development of global mobility solutions through cross-platform systems and its competences in the integration with cloud services for industry and consumers. Visit our booth 1|10, we like to start a conversation with you about new and innovative use cases! basysKom is participating at the HMI Entwicklerforum in München, 24th of May. Topics like Touch User Experience, Automotive HMI and Embedded Solutions will be in the focus this year. basysKom is presenting together with its partner emtrion. We are happy to talk to you!